WATERLOO – Agroecology may not be a household word in Canada, but it should be, says Erin Nelson, a project researcher with the research and knowledge sharing partnership Food: Locally Embedded, Globally Engaged (FLEdGE), hosted by Wilfrid Laurier University’s Centre for Sustainable Food Systems. The workshop will bring experts from Latin America and Cuba to discuss the practice of agroecology, which involves farming practices designed to, for example, increase biodiversity and improve long-term soil health. Agroecology has a lot in common with what is referred to as “sustainability” in North America. In addition to ecological considerations, agroecology is also often linked to the concept of food sovereignty, which focuses on people having the power to make decisions about their food systems. Although the language may be different between the north and south, the objective is a common one – to create food systems that are more ecologically sustainable, and both socially and economically just. The goals of the workshop are based in the research program of Blay-Palmer. Her work aims to involve communities, practitioners and policy-makers in research projects to create transformative, sustainable food systems that are socially just and supportive of local economies, as well as being ecologically regenerative. The event will include presentations about work in Latin America and Ontario including Angel Leyva, a biodiversity and agroecosystem evaluation specialist from Cuba’s National Institute of Agricultural Sciences, who will discuss his work on biodiversity. Laura Gómez Tovar, from the University of Chapingo, will describe a participatory program that helps small-scale farmers achieve organic certification in Mexico, and Marvin Gómez, from the Foundation for Participatory Research with Honduran Farmers, will share his work on farmer-scientist participatory plant breeding. The Ecological Farmers Association of Ontario will also highlight its farmer-led research program that is being implemented on a number of area farms. Participants will include academics and practitioners from as far away as Argentina and Switzerland. The event will extend beyond the boundaries of a traditional academic conference with hands on farm tours; field demonstrations about weed suppression, soil fertility, seed breeding and biological products; and meetings, dinner and music in a local barn. The workshop is being supported by the Ecological Farmers Association of Ontario as well as Everdale Organic Farm and the Environmental Learning Centre in Hillsburgh, Ontario. Tours will be hosted at the Fertile Ground Community Supported Agriculture (CSA) in St. Agatha and Zócalo Organics in Hillsburgh. The event promises to expose participants not only to new ideas and techniques, but also to new perspectives. 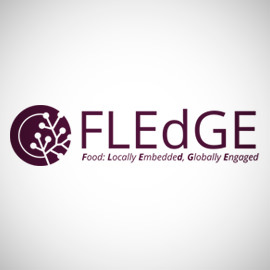 Find more information about FLEdGE.